Horseracing is one of the world’s most popular sports, uniting people from all backgrounds and nationalities. There’s nothing quite like a day at the races. 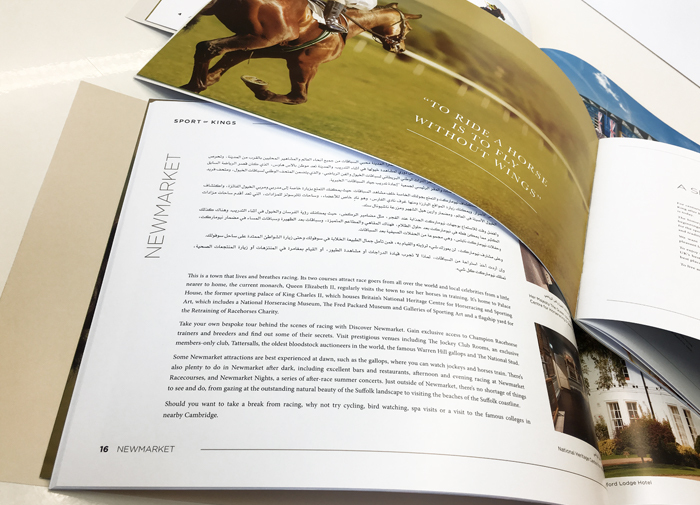 We were asked to create a new brand, bringing together five of the UK’s most prestigious racecourses – Ascot, Chester, Newmarket, Windsor and York – to a highly sophisticated, international audience in the Middle East. 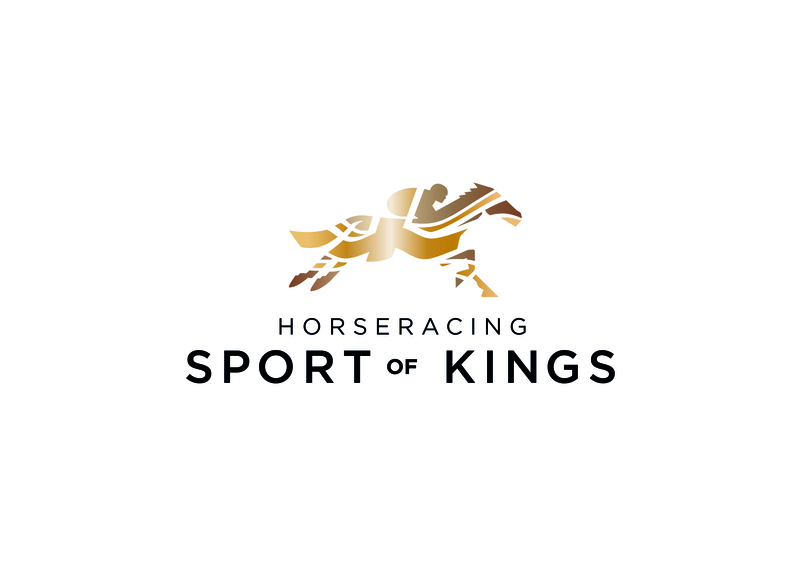 Horseracing – Sport of Kings. 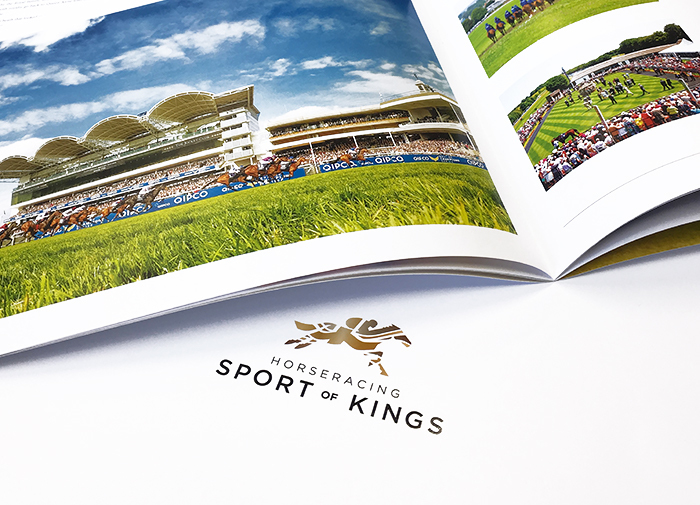 We developed a brand positioning linking all elements of a race day experience, from the courses to luxury accommodation and the unique attractions of the local area. 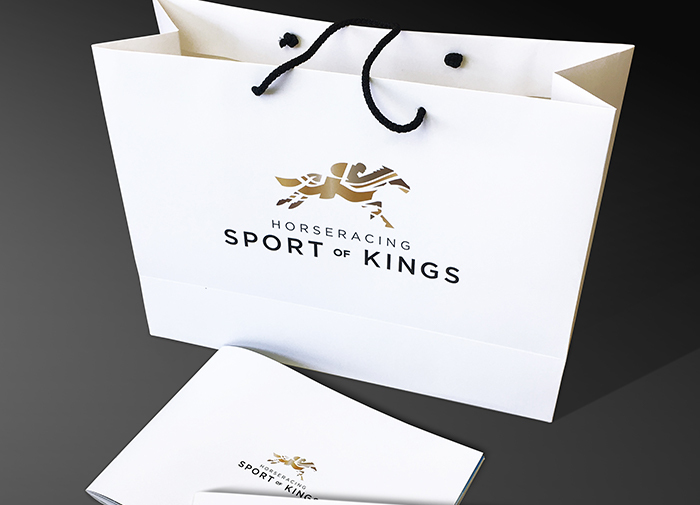 We created a brand identity, the Sport of Kings logo, reflecting the heritage and the excitement of a day at the races. 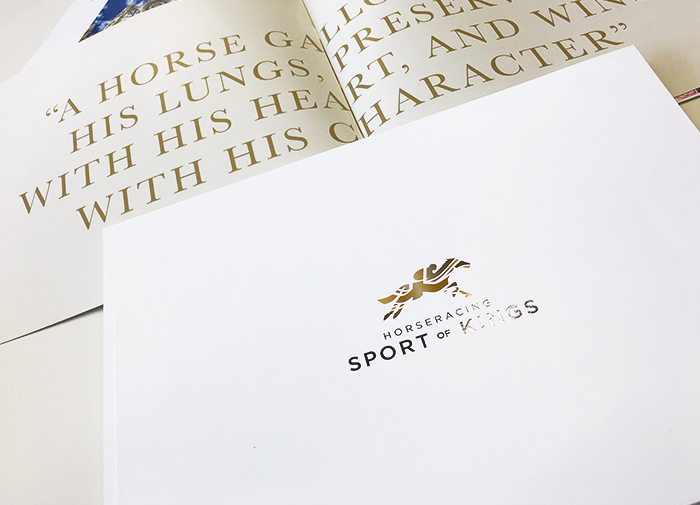 We produced a brochure and welcome packs showcasing each racecourse as established venues but also as part of a new exciting brand. The initial launch has been extremely successful with further marketing activity planned for 2019.